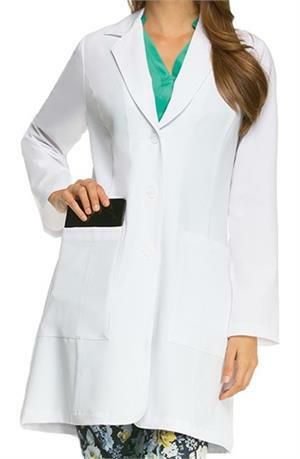 This Grey's Anatomy Signature lab coat features 2-pockets, princess seamed with back inset belt, 4-way stretch, superior moisture-wicking, and super soft, soil release fabric. Length is 35". 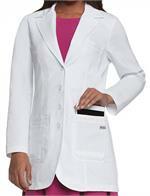 Made of 70% polyester / 25% rayon / 5% spandex.